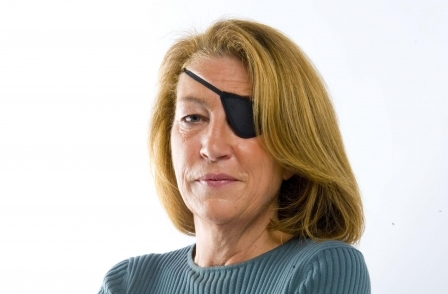 New evidence has emerged that Sunday Times journalist Marie Colvin was murdered by the Bashar al Ashad regime in Syria. It is contained in a lawsuit filed in the US by Colvin’s family which accuses the Syrian government of deliberately targeting her. 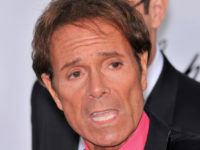 Colvin was killed in a rocket attack in Homs in 2012 just hours after telling the world how Bashar al-Assad’s army was “simply shelling a city of cold, starving civilians”. According to a lawsuit filed in Washington, figures at the “highest level” of the Assad government were part of a conspiracy to attack a makeshift media centre. The papers link the dictator’s brother to the plan, which was designed to “surveil, target, and ultimately kill civilian journalists in order to silence local and international media as part of its effort to crush political opposition”. In February 2012 Colvin, 56, travelled to the Baba Amr neighbourhood of Homs with British photographer Paul Conroy and Syrian translator Wael al-Omar on an assignment for The Sunday Times. There they met activists, civilian journalists and bloggers reporting on atrocities which government forces were carrying out on a daily basis. 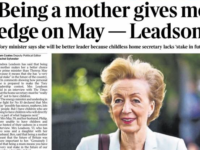 The papers state: “Throughout February 2012, the Assad regime received tips from intelligence sources in Lebanon that Ms Colvin and other foreign journalists were travelling to Syria through Lebanon and reporting from the Baba Amr Media Centre. On 21 February, Colvin made audio broadcasts via satellite dish to CNN, BBC News, and Channel 4 from the media centre. According to the lawsuit Syrian intelligence forces intercepted the broadcast signals and traced it to a location inside Baba Amr. A regime spy tipped off the leadership of the Homs Military-Security Committee that foreign journalists were at the centre and led them to its location, the legal papers state. When salvos of rockets and mortar fire were unleashed on the house the following morning the activists and journalists attempted to flee. Colvin and French photographer Remi Ochlik were killed when a rocket landed near the front door, sending shrapnel and splinters tearing through the house. Conroy and Omar were severely injured in the attack. According to the legal papers the plot to kill the journalists was drawn up by the Central Crisis Management Cell, a war cabinet set up by Assad. The group included his brother, Maher Al-Assad, who commanded the Syrian army’s elite 4th armoured division. The night before the attack the intelligence tip and plan of action was shared with his office, according to the papers. The lawsuit is being brought by Marie Colvin’s sister, Cathleen Colvin, and her niece, Justine Araya-Colvin. They claim that, as well as their personal loss, her assassination was “designed to intimidate and terrorise the civilian population of Syria, the victims’ loved ones, other journalists, and the international community”. Colvin worked for The Sunday Times for 25 years, reporting on atrocities and conflict around the world, including East Timor, The Balkans and Iraq. According to The Sunday Times the lawsuit is the result of four years of investigation by human rights lawyers and is based on accounts from eyewitnesses and defectors and other documentary evidence.